Detailing in 3D offers many benefits, but usually comes at the cost of a steep learning curve and adoption period. That is…. until, now! Monica Rennick, Senior Technical Consultant, Allplan, Inc.
Kurt Krasavage, Regional Sales Manager, Allplan, Inc.
Glen Hutchinson, Business Development Manager - Americas, Allplan, Inc. In this webinar we will demonstrate how rebar detailers and estimators can benefit from a 3D BIM model, without having to change their current workflow. Detailers can work in a familiar 2D environment, and automatically generate a 3D model, automate drawings, schedules, and bar lists. Monica is a Senior Technical Consultant for Allplan, Inc., and is responsible for advocating BIM and Allplan to the construction community and ensuring customers are successful in their use of the software. 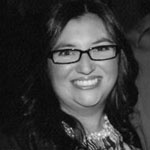 Monica has a Bachelor’s in Civil Engineering with over 12 years of structural engineering experience. For the last several years she’s focused on engineering analysis and design software. Monica has presented both online and in person on a variety of engineering topics including lateral design, managing and interpreting 3D models and improved workflows.